Prototyping and designing a physical product requires a steep learning curve, which is counter to trying to build something quickly. In some cases, necessary software skills required for 3D modeling are still hard to learn outside of traditional educational settings. Pouria Kay is the Founder of Grib, a Helsinki Founder Institute portfolio company that is bringing 3D modeling to the masses through augmented reality and without the steep learning curve. In a recent study by Sculpteo, the $7 billion 3D printing industry’s largest uses of their hardware are for prototyping (55%), production (43%), and proof-of-concept modeling (41%). All three of these primary use cases fueling the booming industry, typically from clients comprised of well-established organizational research and development teams, each require speed in delivery. We're setting sail on an ocean of opportunities. We have already inspired our community with a demo. Now it's time to bring them what they want to see. Grib’s initial success is also due in part to the team they have brought on—or rather, the super teams they have built. are not hired. They are built. We had a workshop at Grib for building ours. After building a super team, Grib also built a super product. Grib uses common tools that many people already have access to: a pen, piece of paper, and a mobile device. Rather than hard-coding anything or using advanced programs, a user produces a simple 2D sketch, which then can be turned into 3D parts on the app; from there, products and designs can be put together. The app even allows for collaborative work, so that more than one person can build on the same product. It’s similar to how LEGO blocks work, but in augmented reality and with custom-made pieces. Once complete, the product can be exported and shared, or imported into a 3D printer for production. 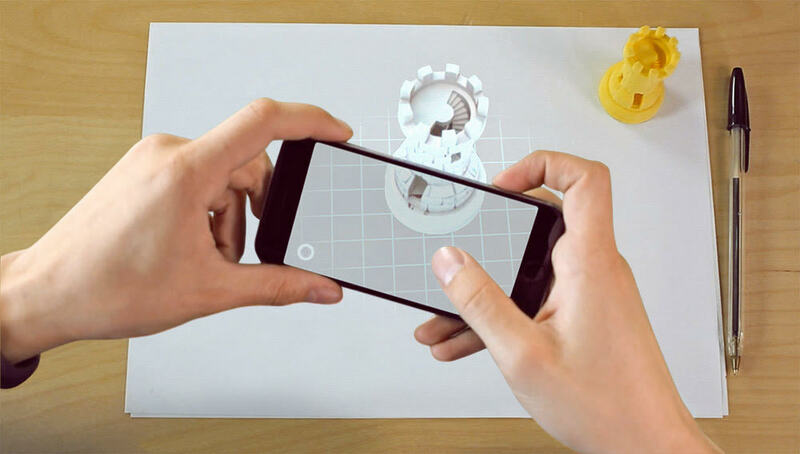 Grib is a 3D modeling app that does not require 3D software skills. Our aim and vision are to bring the software industry to a new level concerning experience and interactions. We believe good software does not need a long learning curve, neither a third-party to teach you how it works. Grib is a self-learning tool, which you can start modeling from day one. For the first time in human history, there is a 3D software with less than a hundred buttons – Grib has only two! Prior to launching Grib, Kay moved to Finland upon acceptance into an International Design Business Management master’s program. This experience contributed significantly in fueling his passion into building the company. What I find surprising about working in Finland is the independence to learn and the space to experiment and grow (fast). I found a problem to be solved, and I set up a company to try and solve that problem. This is Finland – you can!